The Gadget: Not to be confused with the original In-Ear Headphones, Apple's new In-Ear Headphones have been redesigned from the ground up with balanced audio powered by two drivers in each ear. It also comes with a remote and microphone that's compatible with the iPod Nano 4G, iPod touch 2G, iPod Classic and iPhone 3G (kinda). The Verdict: After a history of offering lackluster earbuds, Apple has come through with a product that sounds really good and is reasonably priced, all things considered. The balanced sound and dual drivers makes all the difference in the quality factor. While not necessarily thumpy, the bass has a nice resonance without drowning out many of the high end intricacies found in jazz or electronic music. The midrange audio is relatively flat and doesn't overpower your ears, which is nice because it allows the high end noises to really stand out, letting you hear things you don't get from your car or computer speakers. To see how they stacked up in the headphone scheme of things, I tested them against a pair of standard iPod headphones, the premium Zune headphones, and the Shure SE110s, the winner of our earphone battlemodo. 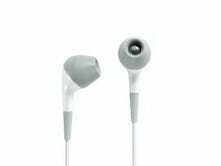 • Unsurprisingly, the Apple In-Ears outclassed the normal iPod earphones in every category, providing superior sound and comfort. • The Zune Premium Headphones v2, which are very good for only costing $30-$40, had bass that was a bit punchier, but could not compete against the mids and highs of the Apple In-Ears. If you really like bass or a lower price, you might favor the Zune headphones, which more than get the job done. 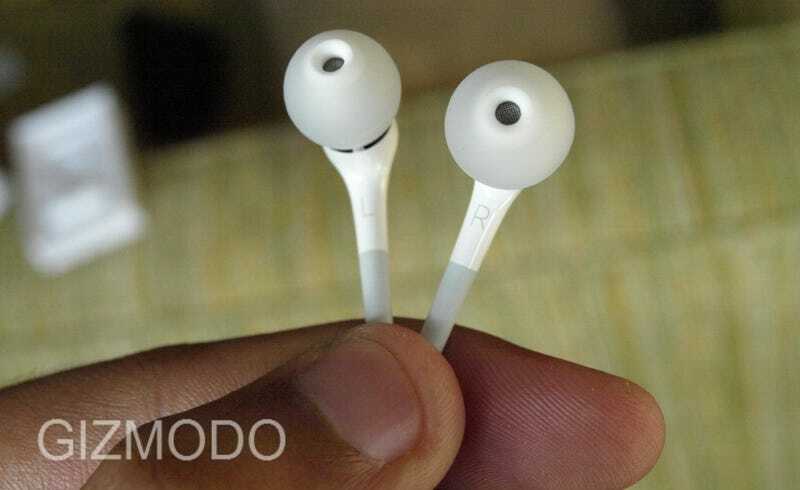 But on sound quality alone, the Apple In-Ear headphones are superior. • Compared to the Shure SE110s, the Apple In-Ear headphones don't quite match up. It's not a stark difference between the two, but the SE110s are superior in almost every category, from bass, to high end clarity. Part of that is because the Apple In-Ears don't have the noise isolation capability, and partly because they're just not quite as good. And though theyre $40 cheaper than the SE110s MSRP, you can find the SE110s at some online outlets as low as $75. As far as remote capabilities go, I tested the Apple In-ear headphones with an iPhone 3G and a first gen iPod touch (neither of which are officially supported. As Apple claims, the audio works fine with both devices. Neither the remote or the mic work with the iPod touch 1G at all, merely reducing it to a pair of headphones. On the iPhone 3G, you can't use the volume. You can still play/pause a song, answer/end a call, change tracks and make use of the microphone. But all of those work perfectly fine on the iPhone.